Home > About Us > Physicians > Dan Goldschlag, M.D. Dr. Dan Goldschlag is an Assistant Professor of Clinical Reproductive Medicine and Clinical Obstetrics and Gynecology at The Ronald O. Perelman and Claudia Cohen Center for Reproductive Medicine (CRM) of Weill Cornell Medical College. A noted fertility specialist, he is board certified in both Obstetrics and Gynecology and Reproductive Endocrinology and Infertility. Dr. Goldschlag completed his B.A. and M.S. in 1988 and his M.D. in 1992 at Wayne State University in Detroit. After a residency in Obstetrics and Gynecology at Albert Einstein College of Medicine, Dr. Goldschlag received his subspecialty training in Reproductive Endocrinology and Infertility at CRM. In 1999, after completing his training, he joined the CRM's faculty. Dr. Goldschlag is a member of numerous medical associations, including the American Society for Reproductive Medicine and the American College of Obstetricians and Gynecologists. Dr. Goldschlag has a thriving practice in reproductive medicine that includes patients growing their families using in vitro fertilization (IVF), preimplantation genetic diagnosis and egg donation, as well as other advanced assisted reproductive techniques. Dr. Goldschlag has an expertise in caring for patients who wish to preserve or extend their fertility using CRM’s fertility preservation services. In addition to the preservation of embryos, recent advances in cryopreservation technology have made oocyte (egg) freezing viable options for women. Oocyte freezing can be of particular help to women wishing to have children later in life. Dr. Goldschlag also has extensive experience caring for women who wish to become pregnant after cancer treatment (oncofertility). For more information about Cornell’s fertility preservation services, contact Zya Bethune-Lockhart at (646) 962-5450. 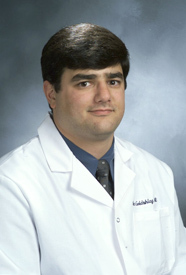 Dr. Goldschlag is particularly skilled in the use of minimally invasive surgical techniques. These techniques are used to treat patients with conditions including uterine anomalies, recurrent miscarriages, endometriosis, ovarian cysts, menstrual disorders and anatomical causes of infertility, including blocked fallopian tubes, adhesions or scar tissue, endometrial polyps and fibroid tumors. He is also an authority on the treatment of young women with disorders affecting normal sexual development, including premature ovarian failure and delayed puberty. Dr. Goldschlag has published and lectured on a wide range of topics in reproductive health. His current research is focused on early oocyte development and the cryopreservation of oocytes and ovarian tissue. In 2013, he published a groundbreaking article on the retrieval and preservation of oocytes from a pre-pubertal girl prior to chemotherapy. Dr. Goldschlag sees patients in CRM’s Manhattan offices on the Upper East Side and Upper West Side as well as the Center's Long Island office. Please call (646) 962-3767 for more information and to schedule an appointment.